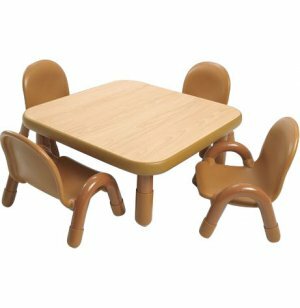 Square Baseline® Preschool Table with 4 Chairs - Natural 30"
The natural color of this Square Toddler Activity Table and Chair Set will complement any classroom décor. Purchasing a table/chair set saves you the hassle of matching the chair size to the table size. 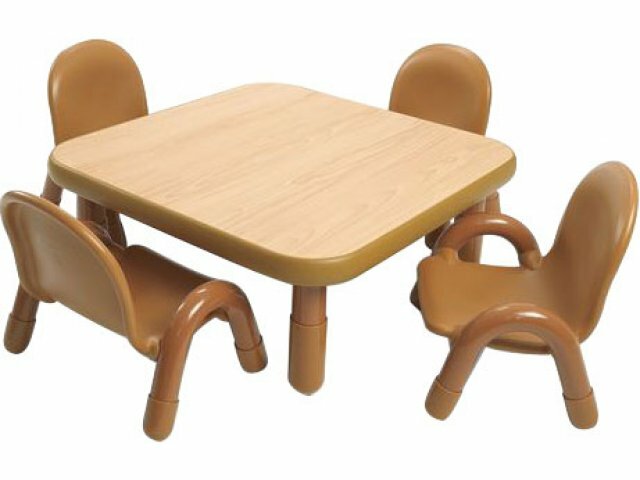 This set includes four 5" chairs in Caramel Brown and a matching 12" Natural table. Natural Appeal: The natural wood tones of this set will enhance any classroom.